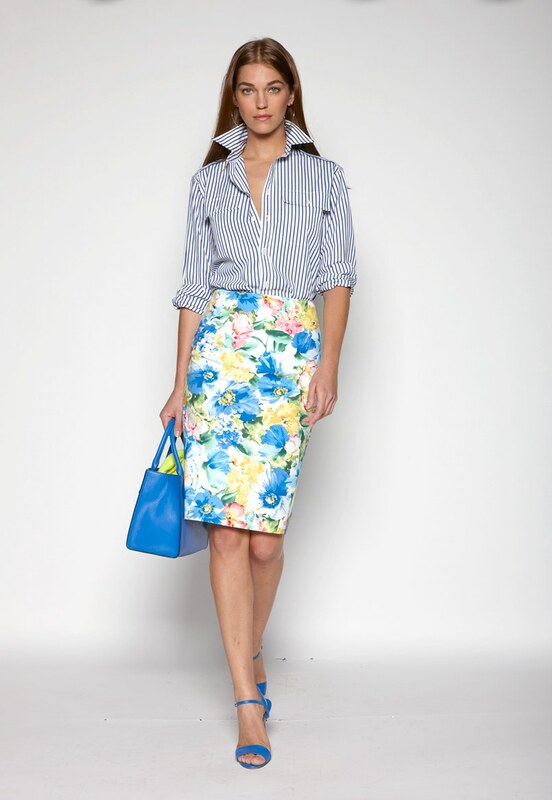 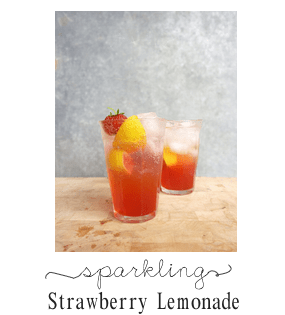 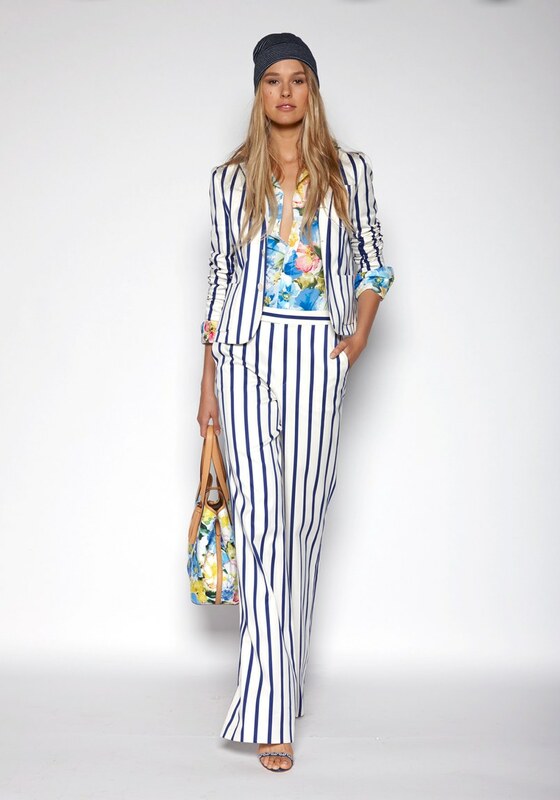 .J Crew went classic-preppy for spring/summer season with vibrant contrast pairing of prints, patterns, colors and glittering sequins. 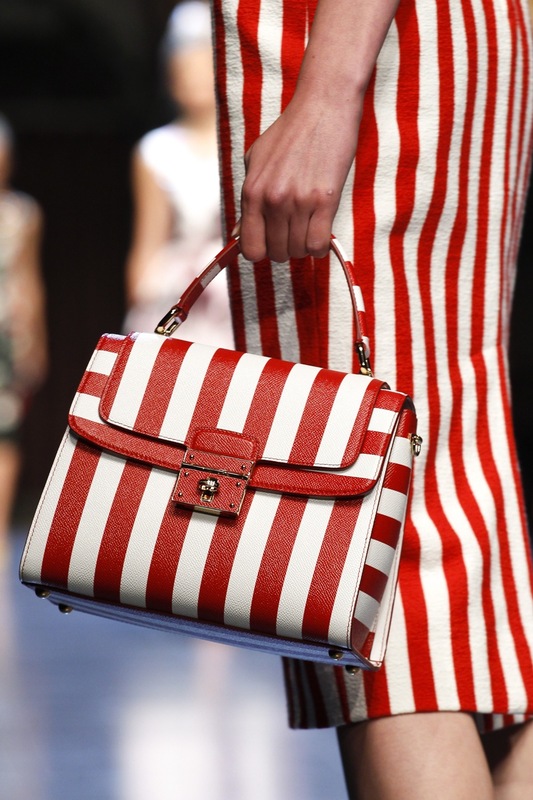 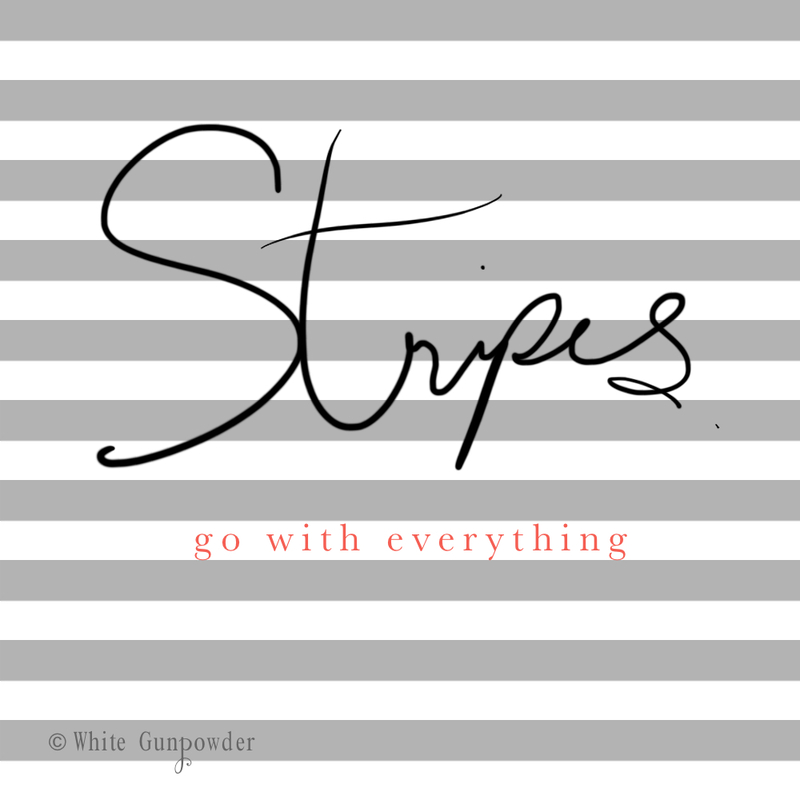 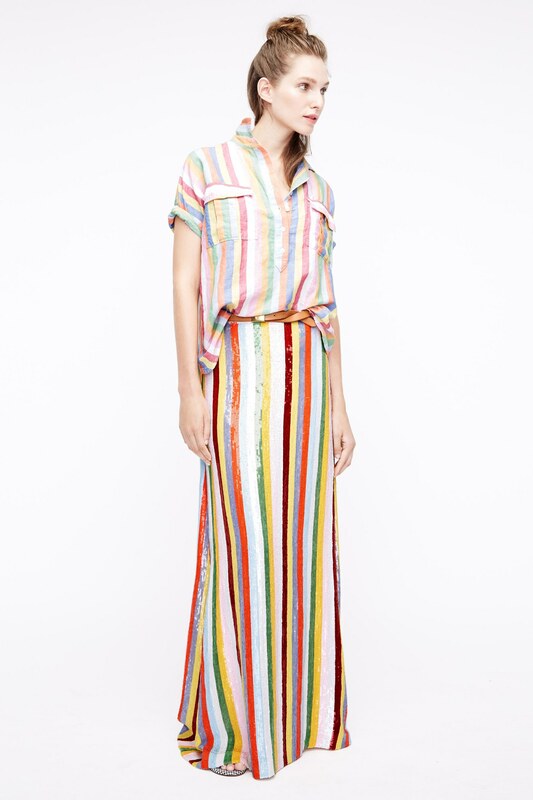 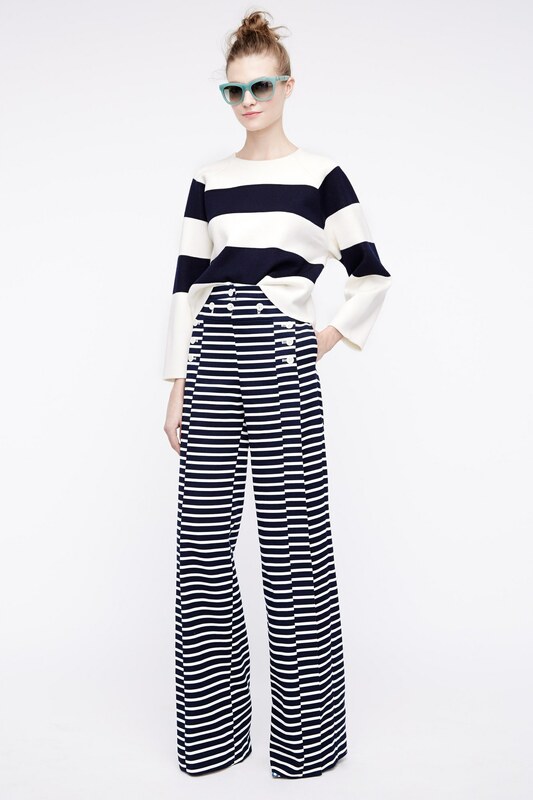 Stripes were definitely show stoppers in the collection. 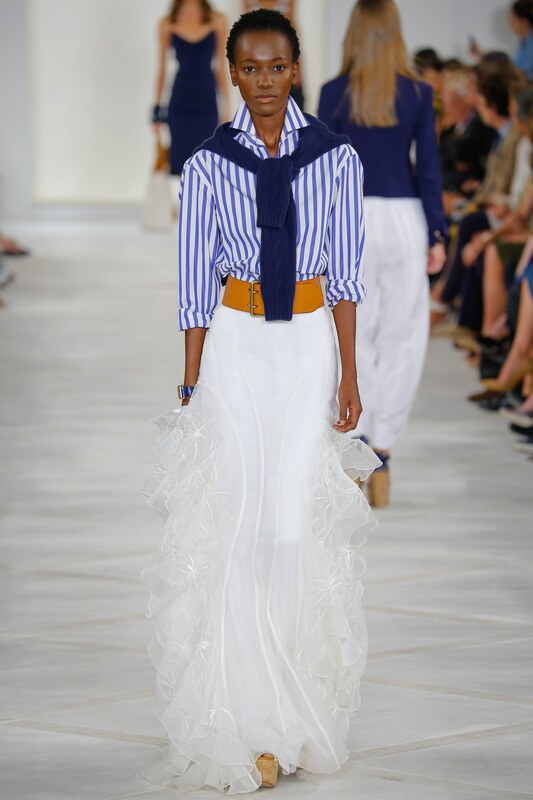 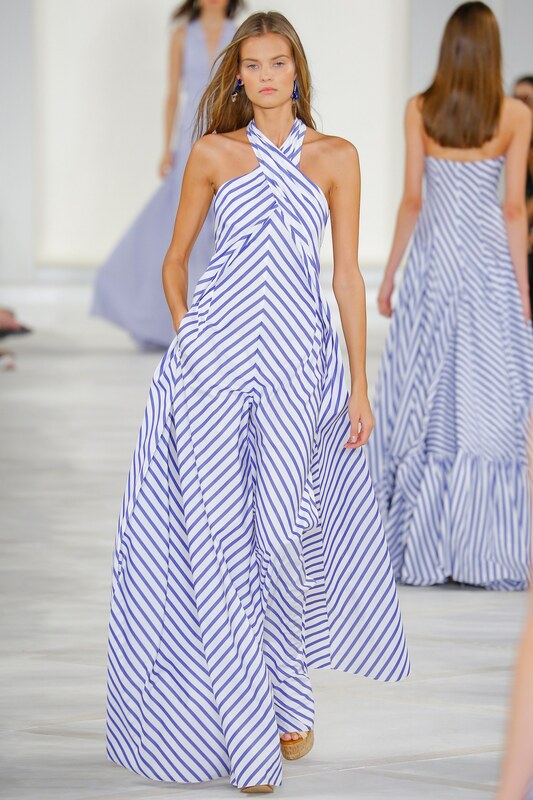 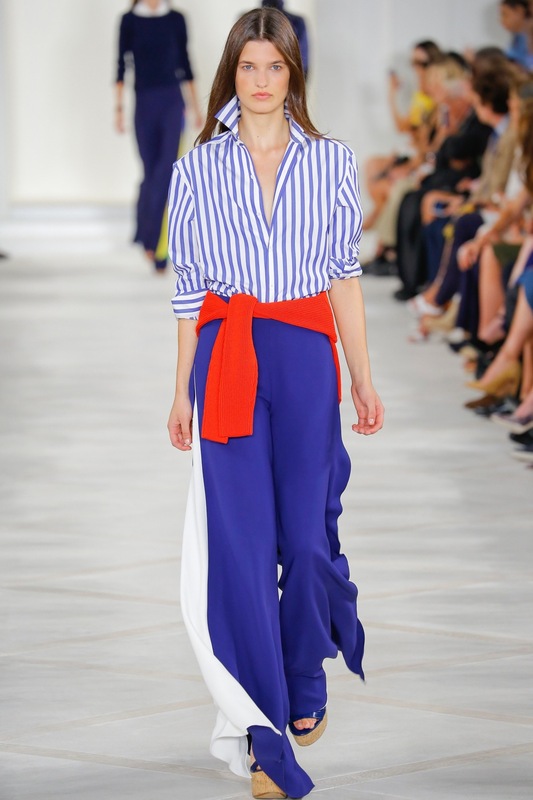 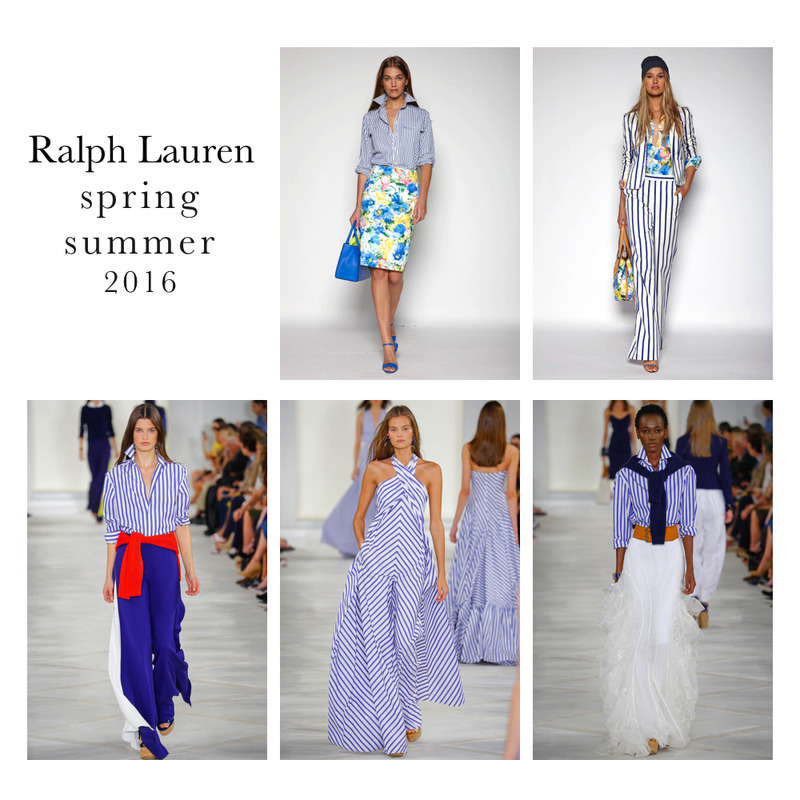 Ralph Lauren’s ready-to-wear collection took on the nautical theme with the use of stripes and colors in red, white, and blue. 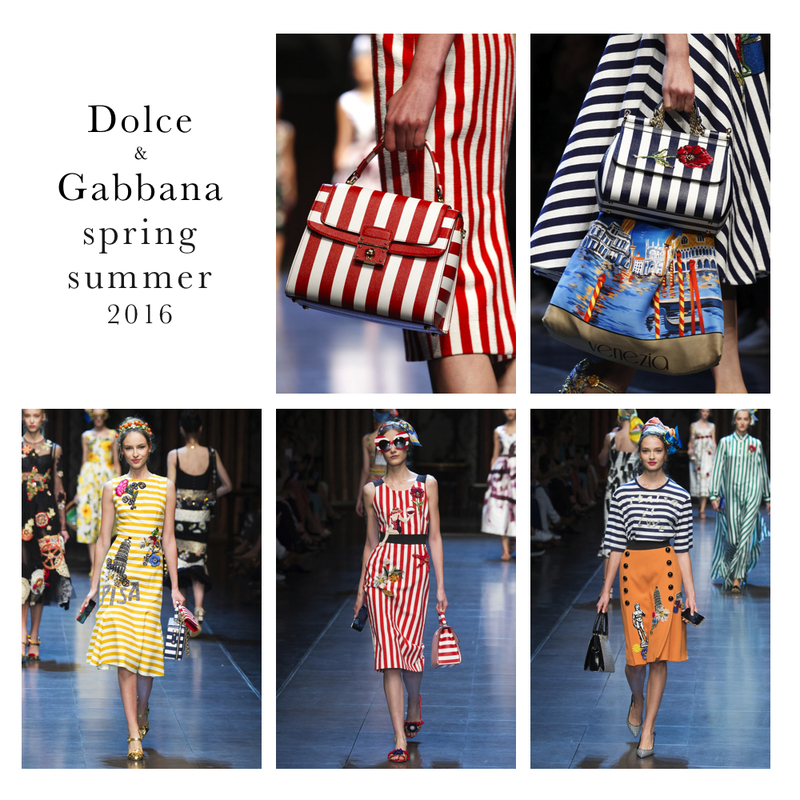 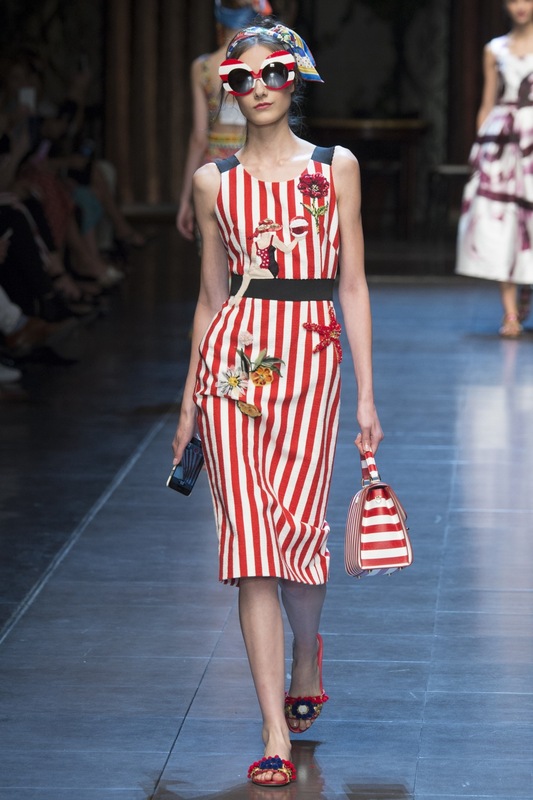 Dolce & Gabbana’s spring/summer collection celebrated all things Italian. 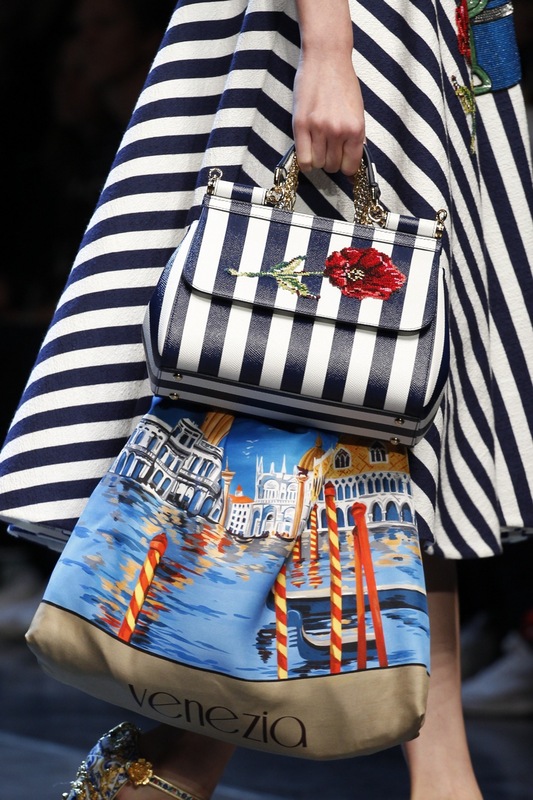 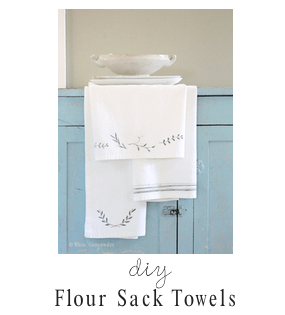 Embellishments and embroideries such as flowers, famous landmarks, and the phrase “Italia is Love” were promptly displayed on the garments. 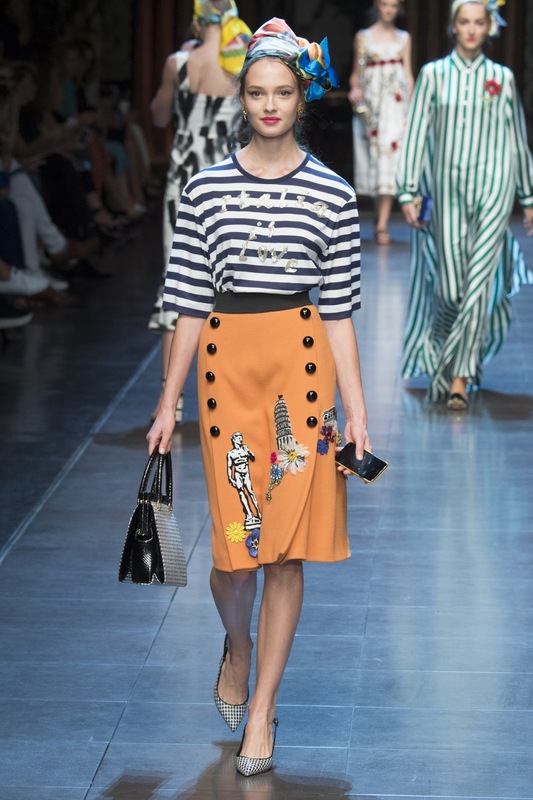 The use of striped fabrics on the outfits were simple and bold.